With par-focal B4 lenses, you don’tneed to refocus as you follow the action! SD and UHS‑II cards are inexpensive and commonlyavailable, perfect for recording DNx or ProRes Ultra HDfiles or RAW HD files. CFast cards are ideal for recording RAW. 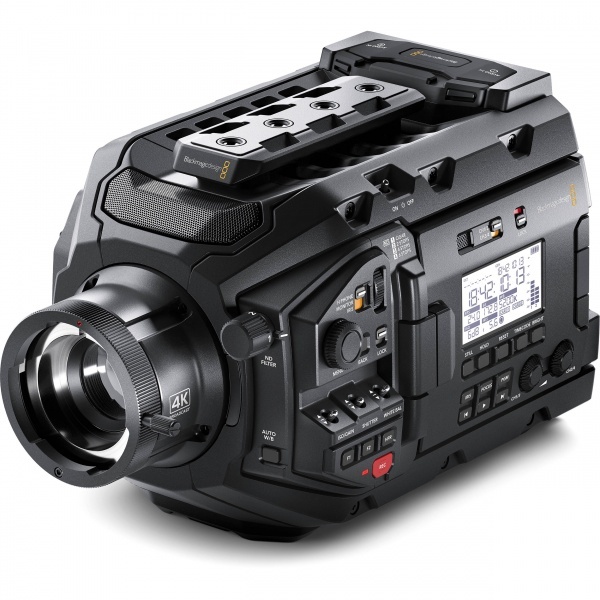 Turn URSA Broadcast into the ultimatelive camera with a professional 7 inch studio viewfinder! Connect cameras to live switchers up to2 km away with video, talkback, controland power, all over a single cable! 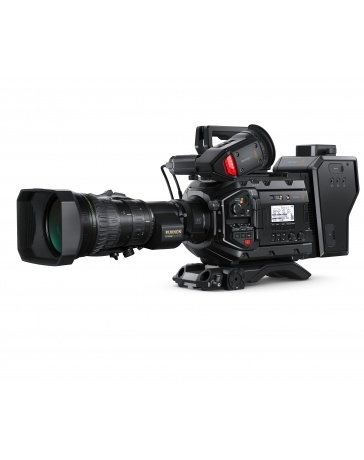 Plug in the broadcast standardBlackmagic URSA Studio Viewfinder4 pin 12V XLR power input. Install a VLock orGold Mount plate foruse with batteries. 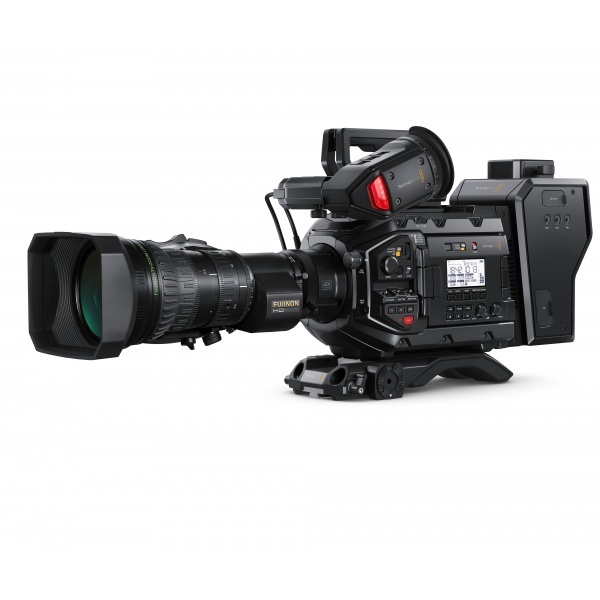 Install a BlackmagicCamera Fiber Converteror power via SMPTE fiber.